With the government's backing off yesterday from its demand for international monitoring of the NIS 200 million it has agreed to transfer to the Palestinian Authority, we see the first concrete consequence of the IAF strike on Hamas military chief Salah Shehadeh in Gaza which killed 14 civilians in collateral damage. This cave-in is rife with dangerous consequences for Israel. First, there will be no way of ensuring that this money won't be used to indirectly finance the murder of Israelis by PA terrorists. Second, and perhaps more significantly, the very notion that Israel would agree to transfer any money at all to Arafat's terror-laced PA gives renewed legitimacy to both Arafat and his jihad in the eyes of Palestinian society and the international community. This, as both were just beginning to reconcile themselves with the notion that Arafat and his PA have to go. Foreign Minister Shimon Peres says he trusts the new Arafat-appointed PA Finance Minister Salam Fayed and, so of course, we should as well. Just so, we should all agree with the foreign minister's statement on Sunday that Arafat's Fatah can and should be relied on to fight terrorism. In Peres's view, Fatah, which itself carries out suicide bombings, is to be coddled and embraced so that Arafat and his minions will be convinced to join the fight against themselves. These Peres-inspired fallacies bring into stark relief the basic problems with Israel's war effort, which must be addressed if we are to stand any chance of winning. While Prime Minister Ariel Sharon continues to insist that the national unity government is a strategic asset, on the ground we see that just the opposite is the case. The presence of Oslo loyalists in the government has, time after time, prevented Israel from taking consistent action to carry out the war successfully. As Yossi Sarid, Yossi Beilin, and their radical allies continue to condemn any action Israel takes to defend itself and demand an unconditional Israeli surrender to Arafat's terrorist armies and hate-filled Palestinian public, Peres, using his influence as foreign minister, pushes us to their end. By insisting, against all evidence, in the face of almost 600 dead Israelis, that the PA is a legitimate partner for negotiations and agreements, the foreign minister maintains a situation where, in spite of Operation Defensive Shield and Operation Determined Path, the PLO has no real disincentive against waging its jihad against Israel. Peres's continued presence in the government also is a distraction for more realistic ministers, preventing them from formulating effective policies for winning the war. Indeed, the polarizing influence Peres exerts on the government causes a situation where Israel's responses can often be characterized as semi-hysterical shots across the bow, rather than the implementation of a carefully crafted strategy to provide the Palestinians with enough disincentives for fighting that they capitulate. The last three weeks have laid bare this strategic vacuum. This week it was the decision to continue financing Arafat. Last week it was the government's announcement of its seemingly arbitrary intention to deport male relatives of suicide bombers to Gaza, and two weeks ago it was its anti-democratic and unnecessary decision to establish Jews-only towns. Added to this mix is the erection of the concrete fence that pushes Israel toward a de facto renunciation of its claim to Judea and Samaria without any public debate or governmental decision on the wisdom of this move. These decisions are not characteristic of a government that knows what its policy is but expose a lack of strategic depth as well as ideological confusion, which harm Israeli democracy as much as they diminish our chances of winning the war. Rather than coming up with effective strategies, the Likud ministers, as is their stock in trade, dissipate their energies arguing with Peres rather than applying themselves to the real issue at hand, which is winning the war. And what might such a war-winning strategy be based on? In the first instance, it would recognize that given the international community's hostility toward Israel, a hostility that ensures condemnation for every action Israel takes to defend itself, Israel must make act deliberately and make every shot count. We cannot afford any more mistakes. Second, if the government were intent on victory, it would realize that it is fighting against two separate forces – the Palestinian leadership and the Palestinian people who support their leadership – and separate strategies would be fashioned to deal with each one. 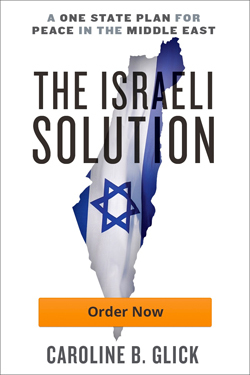 Finally, the government, if it were to form a war-winning strategy, would also work to ensure that every action it takes to deprive the Palestinians of the wherewithal to continue fighting will also bring Israel closer to our own strategic goal of maintaining and enhancing the long-term security and political stability of our Jewish and democratic state. As Arafat and his lieutenants have made clear countless times, the Palestinian leadership's goal is to liquidate the State of Israel and replace it with a PLO dominated state. As Arafat and his lieutenants have consistently declared since the onset of Oslo, the establishment of a Palestinian state in Judea and Samaria, the Gaza Strip, and east Jerusalem is the first step toward the achievement of their goal. Given this, Israel must adopt a strategy that will make it impossible for the Palestinian leadership to achieve any of its goals. Saying that this will never be allowed to occur is not sufficient. Over the past decade, Israel's threats and declarations have lost all credibility with successive governments renouncing every red line that they themselves declare. Implementation of such a strategy directed against the PA could reasonably and without public protest include the application of Israeli law to the Jordan Valley and the reopening of the Temple Mount to Jewish worship. There is wide consensus in Israel that in any settlement, Israel must maintain its control over the Jordan Valley. Anchoring this consensus as government policy will achieve the twin aims of distancing the Palestinian leadership from achieving its strategic goal of displacing Israel by denying it control of strategic assets and enhancing Israel's long-term security. So too, enabling Jewish worship on the Temple Mount will distance the Palestinians from their goal of displacing Israel from the heart and soul of Jewish civilization and strengthen Israel's identity as a Jewish and democratic state. The Palestinian Wakf has adopted the role of systematic destroyer of archeological evidence of the Jewish temples in Jerusalem by conducting illegal excavations beneath Al-Aksa Mosque. A governmental embrace of the ideological, religious, and historic importance of the Temple Mount to the Jewish people will go far toward ensuring that this core aspect of Israel's identity is unimpeachable. Fairly applying Israel's law of free access to holy sites for all worshipers will end the discriminatory practice of barring Jews from free religious worship, thus increasing respect for Israel's laws and strengthening Israeli democracy. d five times the amount they receive. If Saddam or Prince Abdullah gives them $25,000, they should owe Israel $125,000. Confiscation of their property could be seen as partial payment. By the same token, if the military experts believe that deporting Palestinians who aid and abet terrorism to Gaza would act as an effective disincentive for others to do so, then deportation to Gaza should be adopted as policy. There is absolutely no logic, however, to arbitrarily applying this measure only to male relatives of suicide bombers. Are women above the law? What about accomplices who are unrelated? As with all laws and policies, to be effective, a policy of deporting accomplices to terror to Gaza must be implemented without discrimination. These and other moves could become the pillars of a war-winning strategy. Applied consistently they could make a significant contribution toward winning this crucial war for the very existence of the State of Israel. But, as the government's self-defeating policy of continuing to finance the PA and refusing to make irrevocable moves to break the enemy's will clearly shows, as long as Oslo's champions remain in positions of power, the government will fail at this, its principal task.